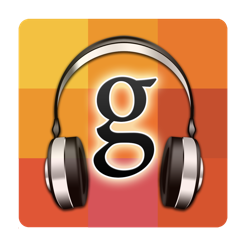 Google Music allows you to keep up to 20,000 of your favorite songs in the cloud for free! 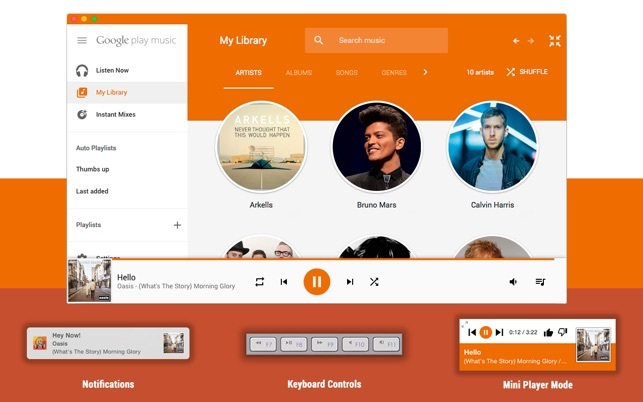 "I finally feel like Google Music is now a first class citizen on my Mac! Thanks!" - Jon F.
"The interface is familiar, but the additions make it so much better! Mini Player is awesome!" - Paul P.
• IMPORTANT: If you see a white box in the bottom left corner of the app, please try opening Safari and downloading the latest version of Adobe Flash on your system. Unfortunately outdated versions of Flash are blocked due to security concerns and you must have the latest version for the app to operate correctly! Please note that Google Music is not yet available in all countries. You must have used your Google account in Google Music at least once to activate it while in one of the supported countries (eg: USA, Canada), otherwise you will not be able to use it - gTunes does not help you circumvent these restrictions, sorry! • Please see the app Preferences or About screen for information on how to disable iTunes from launching with the Play/Pause key! • Requires a Google Play Account that has been activated for use with Google Music in one of the supported countries! The two things that I can see that don’t work are the link in the “About” which leads to the app that is supposed to allow you to disable the play, etc. buttons on the keyboard from accessint iTunes. This can be done otherwise with a launchctp command, but that leads me to the second thing that doesn’t work as advertised, which is the play, etc. buttons controlling gTunes. I love the idea but it has a few gltiches. I love the idea of the mini player and having it in my toolbar. The problem is the toolbar buttons don’t work at all for me. Play/pause, skip, previous, like/dislike. Also it shows the Artist / Albumn not the song name. This a bummer for me because this was the main draw to the application for me. Overall still a good app though, if the toolbar functionality was fixed it would be an easy 5 start. This doesn’t work as intended. White box appears slightly to the ight of the left side of the application, only after you start trying to play the music that doesn’t even play, after you already installed Adobe Flash Player.